An authentic-tasting American vape juice for those looking for that familiar smoky taste. Tastes like smoking old lady; buy the gallon cheep perfume. Most similar to smoking a Marlboro that I have found. And believe me, I have tried many. Great product!! Love this product! It's the most realistic tobacco taste I've found! I do not like the fruity flavors. This helped me quit cigarettes and not go back to smoking. Perfect tobacco flavor and great value! Strong stuff in the Boulder Rock - like a cigar. I'm going to have to mix it down. The product is as described. 2-day free delivery. I am very pleased with this Tobacco 18mg vape juice, and am placing my reorder of the same today. 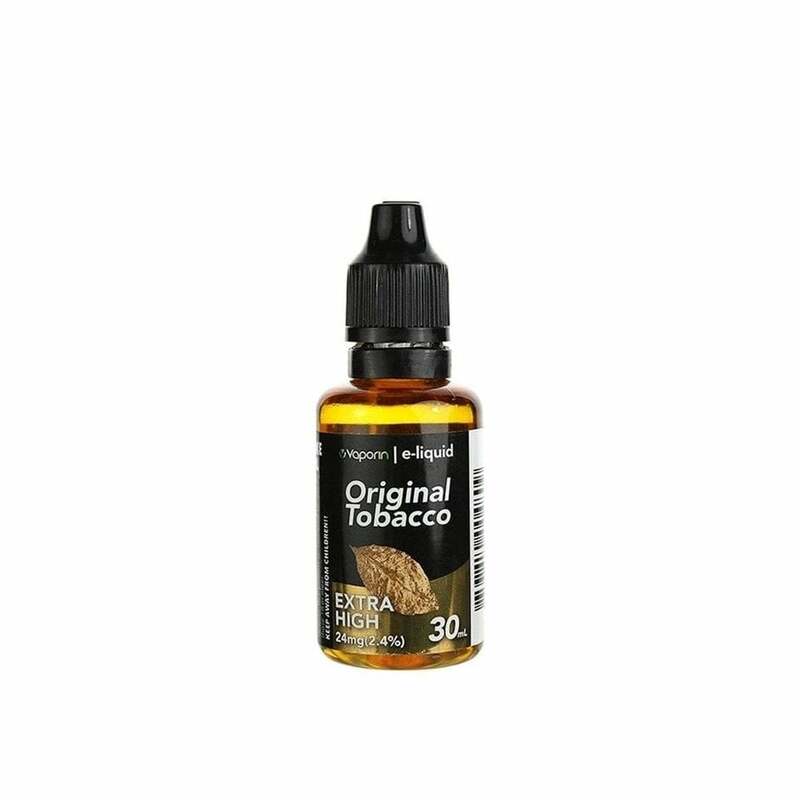 It has an authentic tobacco taste and a good throat hit (also partly due to the top heat element in my vape pen) - so it hasn't been hard to transition from smoking with this vape juice. The bottle pictured says, "Original Tobacco" while my bottles all say simply, "Tobacco." It's the same item # so I'm sure it's the same stuff I like so well. I bought the 6 bottles to save a little more, but I find it's reasonably priced (and yes I have comparison shopped.) I'll keep returning to Electric Tobacconist! Love it! The taste is as close to a combustible cigarette I've found yet! Smooth, without that strange "sweet" taste some traditional tobacco e-liquids have. The strength is perfect for me, too. Strong flavor once you get your settings right, but it tastes more like a cigar. Sometimes a little strong if I vape a lot, but a great add-on to other flavors. 24mg was new to me and it's been a great help in quitting cigarettes, Fast shipping. Thanks for your excellent service. Tobacco flavor! It has no Flavor. Will not buy again. It's a good product, enjoyable & taste great.